If you love to knit shawls, you’ll love Annie Baker of JumperCablesKnitting. With fresh, contemporary twists on traditional designs, these shawls are perfect for any knitter. Click here to see all of her patterns! Hi Annie! Tell us a little bit about yourself! My name is Annie Baker, I live in Toronto, Canada and I design knitting patterns under the name JumperCablesKnitting. I chose the name “JumperCablesKnitting” because my favourite things to knit are cabled jumpers. I’ve been knitting for over forty years. I am a wife and a mother of a grown daughter. I am also an animal lover and have two lovely dogs. One of my aunts taught me to knit when I was ten years old. My first project was not a basic garter stitch scarf, but a pair of socks knit with four needles and Patons yarn. After over twenty years, I suddenly found myself no longer a part of the corporate working world. I had been doing a lot of knitting without patterns and finally decided to start writing them for other knitters. My designs lean toward simple styles with clean lines. I like patterns that are easily memorized and projects that are portable. I feel it is important for designs to flatter different body types and to work well with a variety fibres and of yarn weights. One of my most popular patterns is “Bella“. 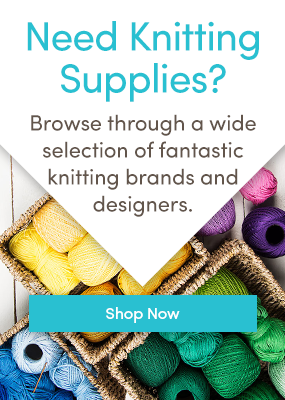 I think is is popular because it has a little bit of everything – knit and purl stitches, lace, adjustable sizing and yarn options. Also, it is portable and you can knit until you run out of yarn! Try it! Everyone has a different style and the more creativity we bring to the knitting world, the more we enrich it. I have very little time to knit for myself. Designing, pattern writing and sample knitting takes up most of my knitting time. I have nothing planned, but one never knows when inspiration will strike! I would be a DK weight yarn. It is a versatile weight and works well for our cold Canadian winters. Thanks, Annie – we love your shawl patterns! To see all of JumperCablesKnitting’s patterns, click here. So glad to read this! One of Annie’s patterns (January Scarf) was the first I knitted beyond the beginning things. And she was so helpful when I got confused. Fun to read where the name “Jumper Cables” came from. Around here, we keep a set of jumper cables in the car trunk to charge the battery if it dies. I’ve just started to design after knitting for 60 years. This has helped me no end. Thank you. Beautiful patterns. Just downloaded 2 of these patterns – love the shapes! On reading the Calla pattern, I didn’t understand the PM abbreviation (round 4). Could you explain please? Many thanks – can’t wait to get started! PM is place stitch marker. Thanks!